It was a breezy sunday afternoon and we were starving after church. None of us felt like being under the stiff confines of a restaurant, we wanted something traditional and satisfying, soul food to be more exact. Dad, being always the one with bright ideas, decided to bring us to one of his favourite haunts on weekday afternoons. 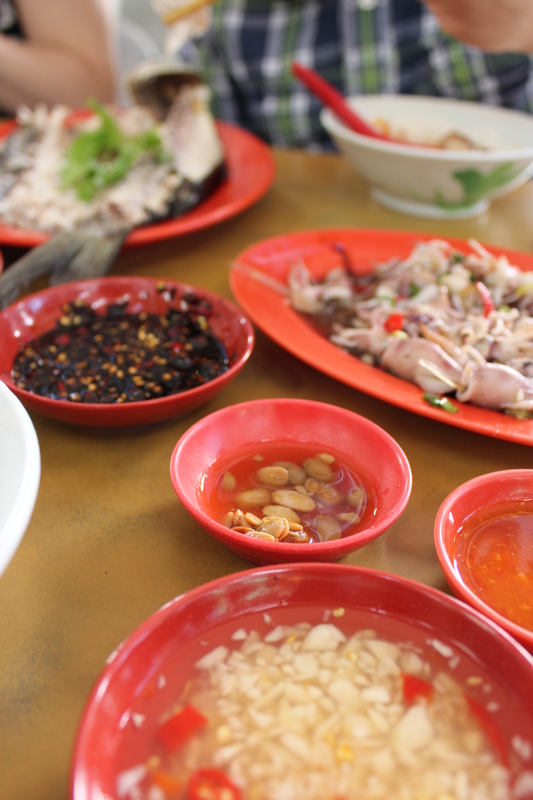 Teck porridge is located in a coffeeshop at the intersection of Dunman Road and Joo Chiat Road. 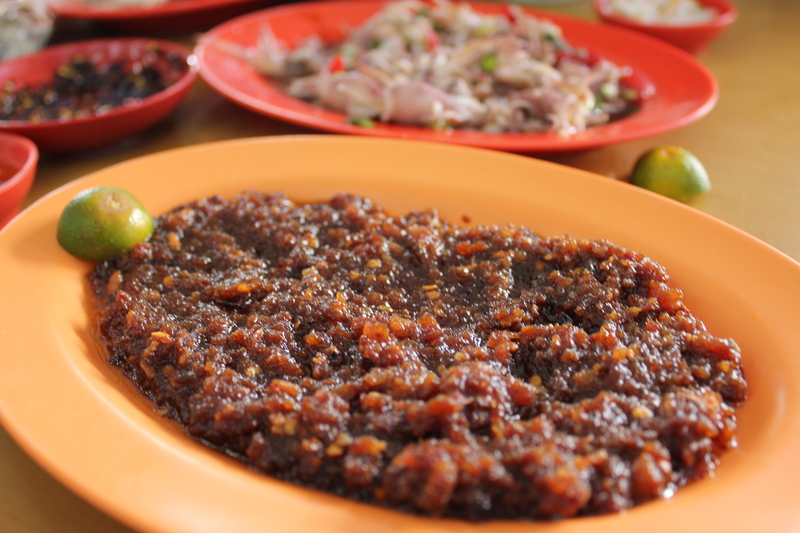 The stall has a wide array of different food items displayed, you just pick and wait for it to be served at your table. Porridge is not usually my number 1 craving for the day. Why? It’s a personal preference I guess. 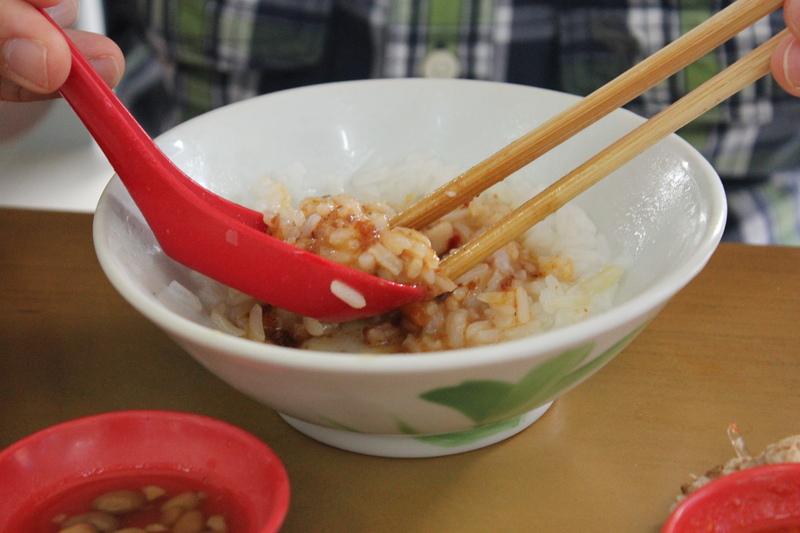 I don’t like the stickiness and starchiness of normal porridge but porridge done teochew-style is slightly different. It’s a more watered down base with moist grains of rice swimming inside. 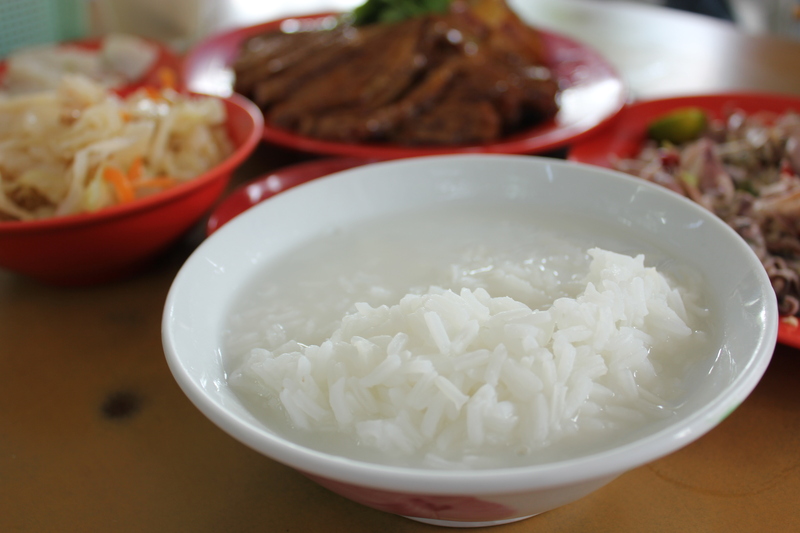 Plain-tasting porridge becomes the most awesome comfort food ever with the addition of hae bi hiam. In case you are wondering, this is the same shrimp filling inside the fried mini springrolls you get during chinese new year. Wok-fried, and scalding hot, the oily paste has to be mixed quickly into the porridge for its desired effect. 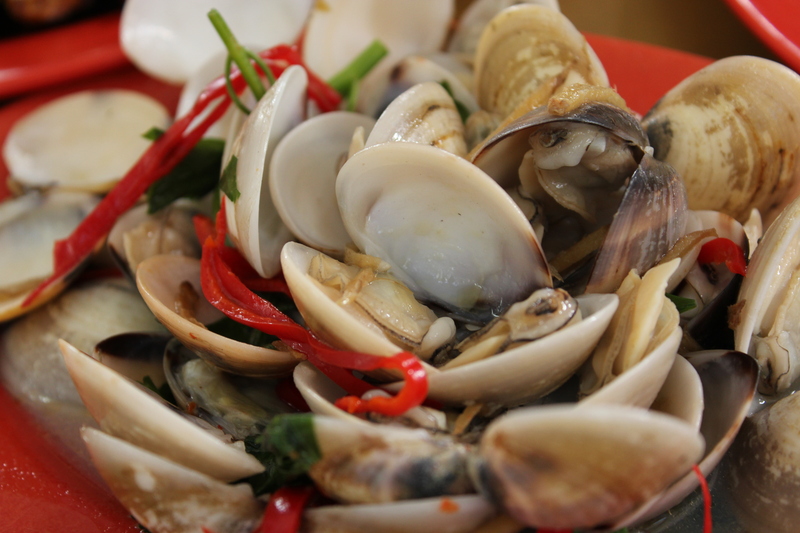 The tasty result is enough to drive one into a frenzy- think sweet, salty, sour and shrimpy all at one go! 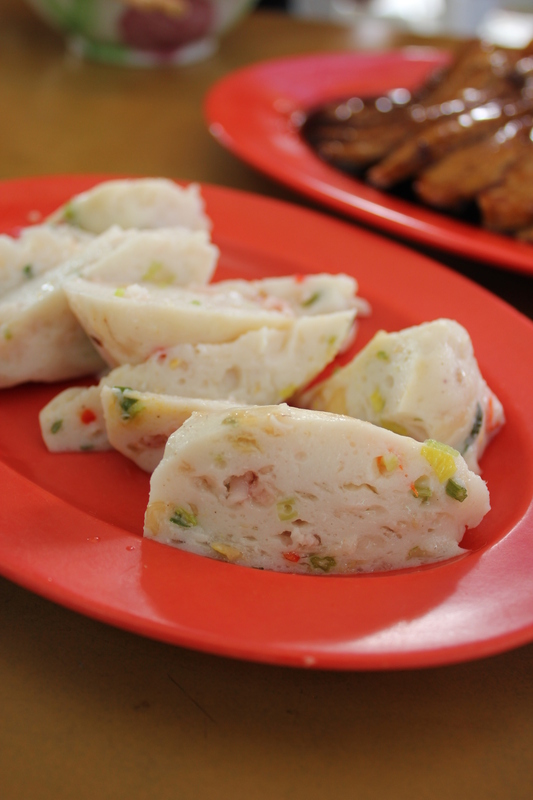 This dish is ESSENTIAL for a fulfilling meal of porridge. When mum is hungry, she has no reservations about ordering a feast. The plate was huge, it looked intimidating, but we wiped it clean effortlessly. 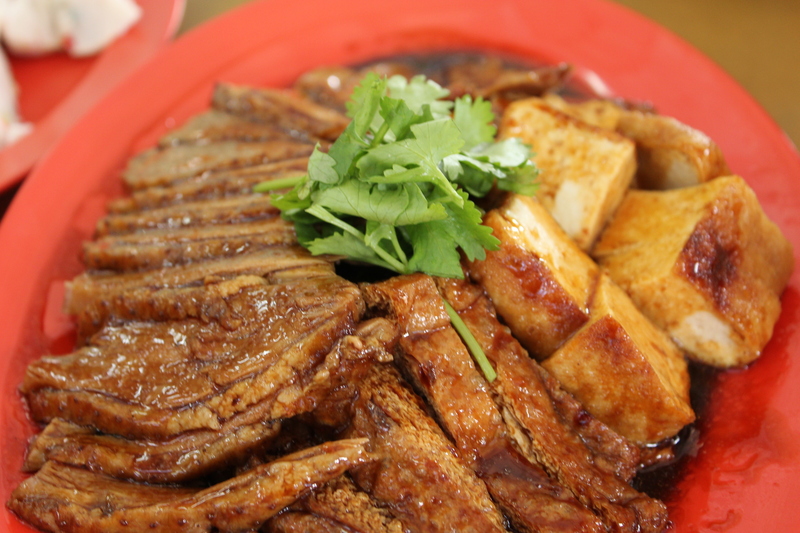 The soy sauce used to braise the slices of duck, tau kua and tofu must have been some mysterious concoction because it was so darn delicious. It’s not overtly salty till you are rushing for a cup of water but just right with a tinge of sweetness. 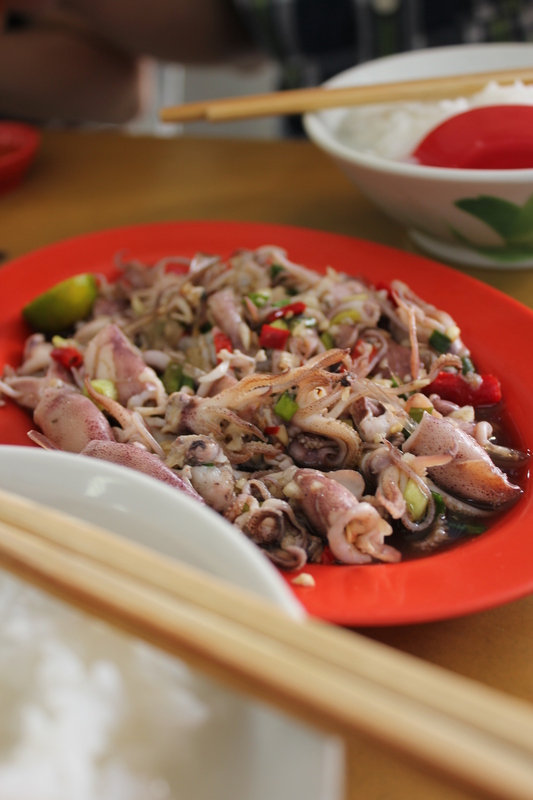 The baby squid was normal but nonetheless a good accompaniment for porridge. These were addictive. The tiny morsel of flesh sitting inside retained it’s natural sweetness and seafood flavour. My favourite bit is drinking the tasty broth left behind. 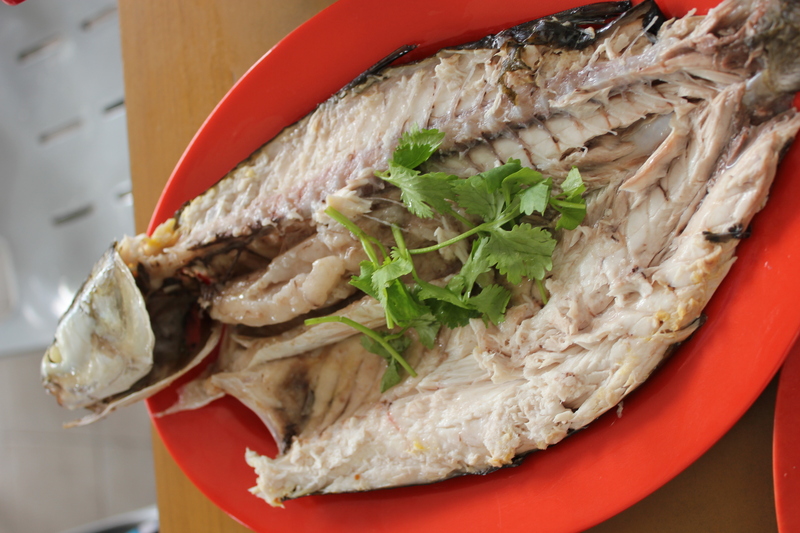 There is a whole lot of fish to choose from, but dad always picks this- he calls it black fish in hokkien. You’ve just gotta love the firm and moist flesh of the fish, with that subtle fishiness and sweetness to it. I love vegetables that have a clean and juicy flavour. 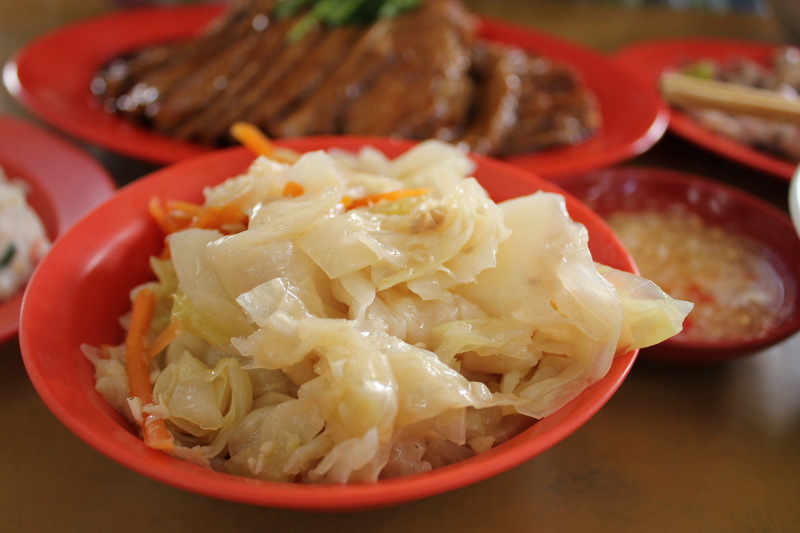 The chap chye here was done perfectly, still retaining a bit of crunch in the cabbage to add a bit of dimension to the porridge. Fishcakes were good but nothing really to shout about. We felt happy and well nourished after the meal. Natural flavours + a traditional setting is something I can get used to for lunch everyday!